Japan is a country where you take your shoes off a lot – at the dentist, in many restaurants, certainly upon entering a home, yours or someone else’s. If you take off your shoes then usually you put them back on again at some point. All this putting on of shoes means that the shoe horn is ubiquitous around here. I do not remember using one in Europe or the US whereas here I would feel lost without one. 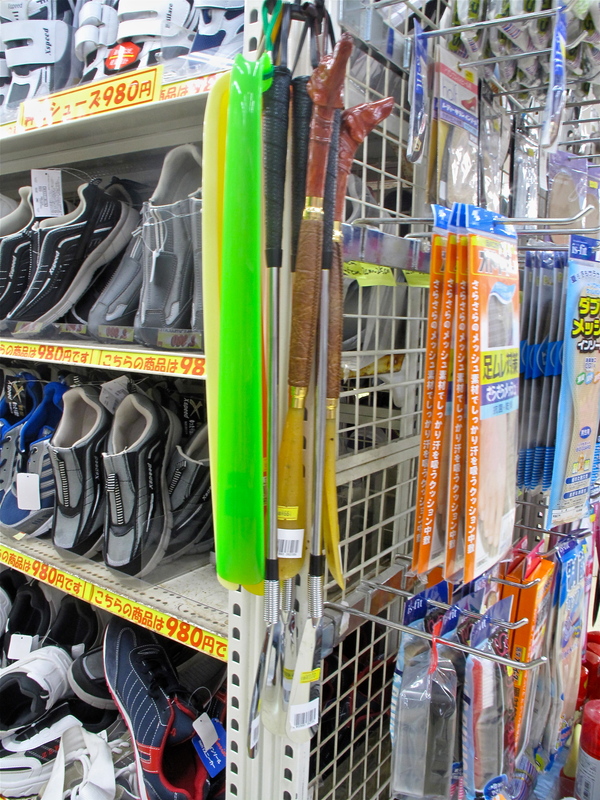 In Japan the very long shoe horn is de rigueur. You do not have to bend down to put on your shoes. Just position the shoe horn into the heel cavity and slide your foot sensually into the awaiting shoe. This gives me pleasure. I quite like the doggy one. I have only recently understood why I like shoe horns so much. On my first day at school, actually kindergarten, there was much ritual. First off there was a uniform that had to be exactly adhered to. 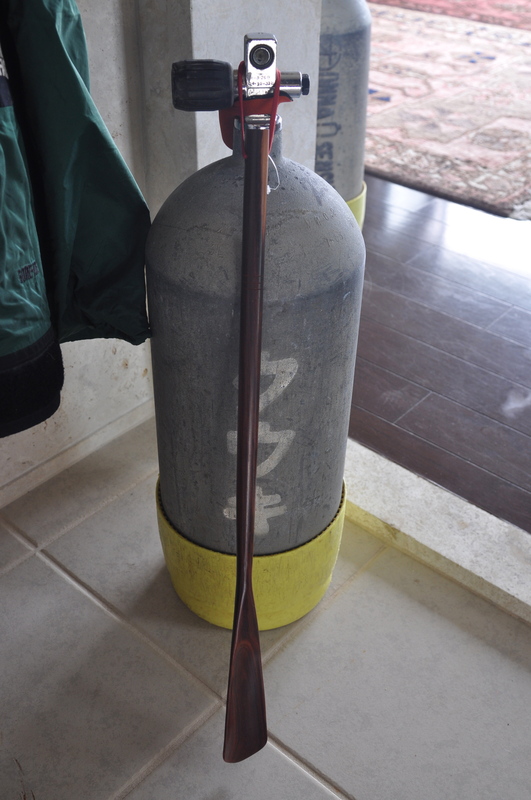 There were also accoutrements that any well-bred young gentleman had to have such as a satchel, a games kit bag, and a shoe horn. I remember mine vividly. It was short and had a tortoiseshell pattern, although it was undoubtedly plastic. I was very proud of my shoe horn, it was a badge of non- baby-ness and a fetish which would guard me against ill. I had not thought about it for 57 years until I was putting on my shoes in a low bar a couple of nights ago. 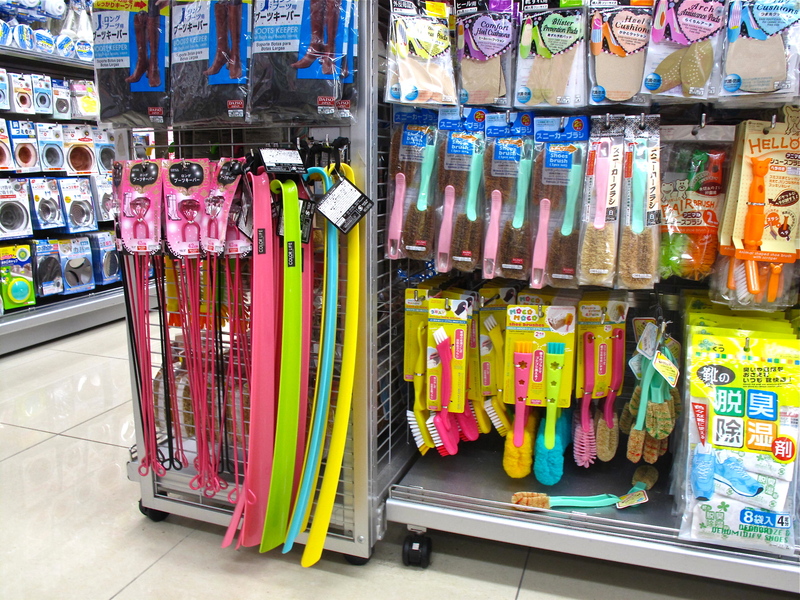 Each item in this photo costs ¥100, which is $1. 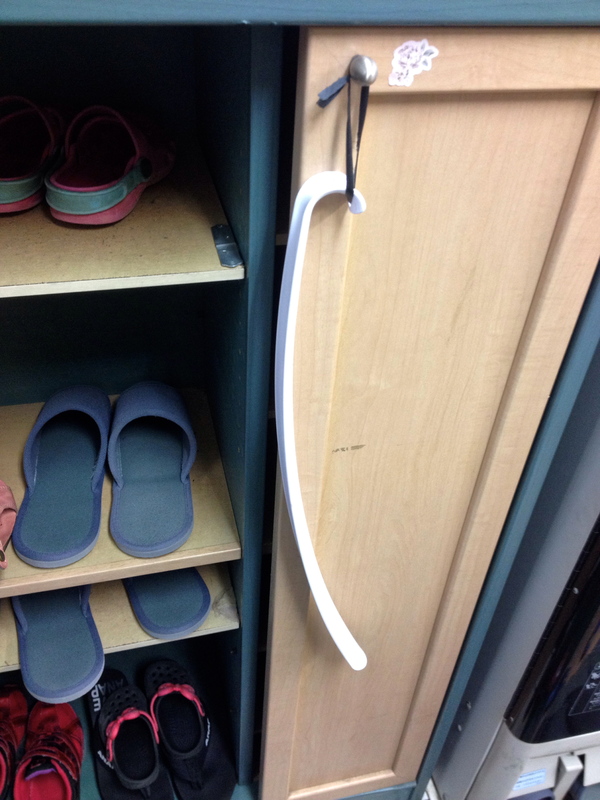 This entry was posted in Uncategorized and tagged fetish, Japan, kindergarten, shoe horn. Bookmark the permalink. What, I wonder is in the cylinders. I have seen aerosol cans of foot deodorant spray. These look much much more serious. Big smells.